Like many other things in American Tobacco Historic District, the Cage marries a new tradition with an old one. 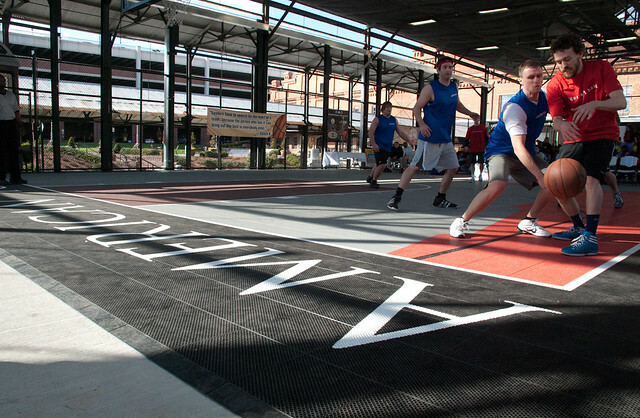 Once used as the coal shed, The Cage is now a state-of-the-art 4-on-4 basketball court. The Cage is a fully loaded basketball experience with retro scorebaord, high-tech rubber floors and bleachers for the fans. Tournaments, leagues and YMCA kids keep The Cage rocking and as relevant today as it was 50 years ago.